Tires are designed to operate within a certain pressure range. 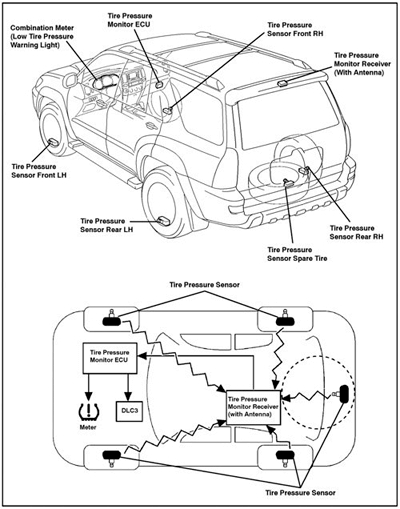 The recommended inflation pressure can usually be found in the vehicle owner’s manual and on a decal that may be located in the glove box or door jam. The recommended inflation pressure is designed to give the best combination of ride comfort, load carrying capacity and rolling resistance. Decreasing the inflation pressure improves ride quality by making the tire softer. Under certain circumstances this may help improve traction a bit. But lowering the pressure also reduces the tire’s ability to carry weight and increases rolling resistance (which hurts fuel economy). A low tire also wears faster. Why? Because increased rolling resistance and flexing in the tread scrubs away the tread. As the miles add up, so does the wear and eventually the tread is down to the wear bars. Once the wear bars are flush with the surface of the tread, the tire needs to be replaced.